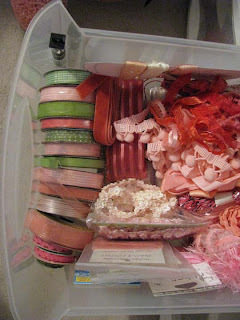 Drawers of goodies neatly organized. 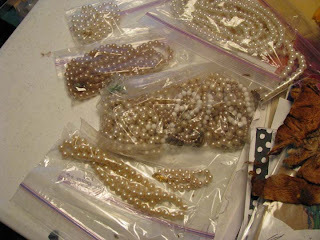 Vintage faux pearls, picked up at variou yard sales over the years, I plan to put them in a jar of some sort. 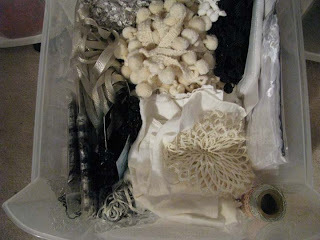 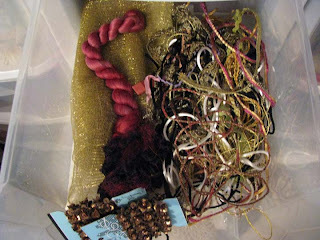 I've been cleaning and organizing in my design studio!